My sisters and I LOVE these. Stick the potatoes in the plastic baggie and put them in the microwave for 5 minutes. * Every so often open the microwave so some steam get get out. While waiting, get a bowl and have your cheese and butter out. Once the potatoes are done put them in the bowl. BE CAREFUL, they are EXTREMELY hot. Then with your fork mash the potatoes. 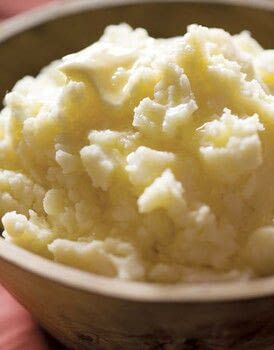 Throw some butter and cheese while mashing to melt it in with the potatoes. I add some nutmeg and liquid cream :] YUM! And I don't make my potatoes in the microwave either. I'm a vegetarian, so I obv. don't use bacon. I tried milk, didn't come out all that great. Add a little splash of milk. MMMMM. : It makes it soooo creamy and delicious! Thanks for sharing. I do this all time and I love it, too. I but bacon in mine, sometimes, though. It's so goood! mmm... I think i'll make some now! they taste better with the skins and boiled on the stove. not the microwave. I also suggest adding seeded mustard and diced bacon!